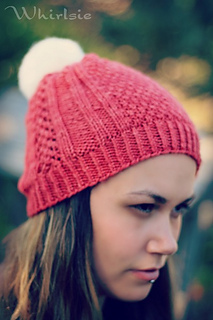 The Raspberry Roses beanie uses various stitches to create a fun textured design. 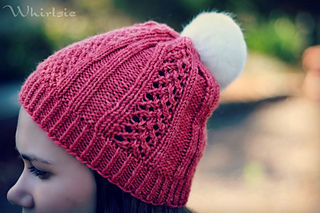 Named for the colour of the yarn and the rose-trellis look of the lace pattern, this beanie will keep you entertained. 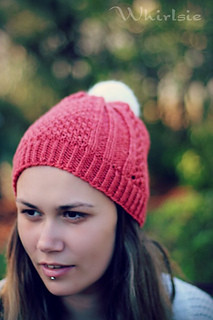 The twisted rib edge adds something extra as does the optional addition of a pom pom. 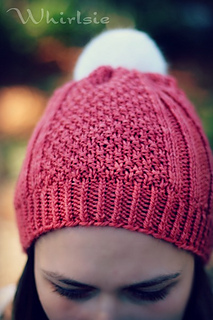 Advanced beginner - you will need to know how to knit, purl, decrease, work some lace and twisted rib.